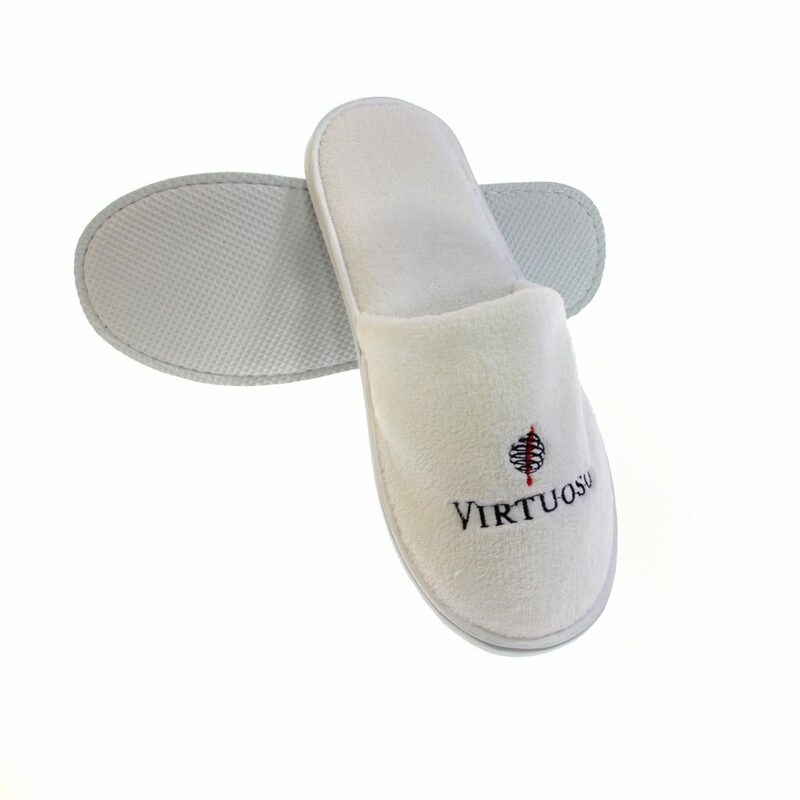 Custom Hotel Slippers custom made to order. 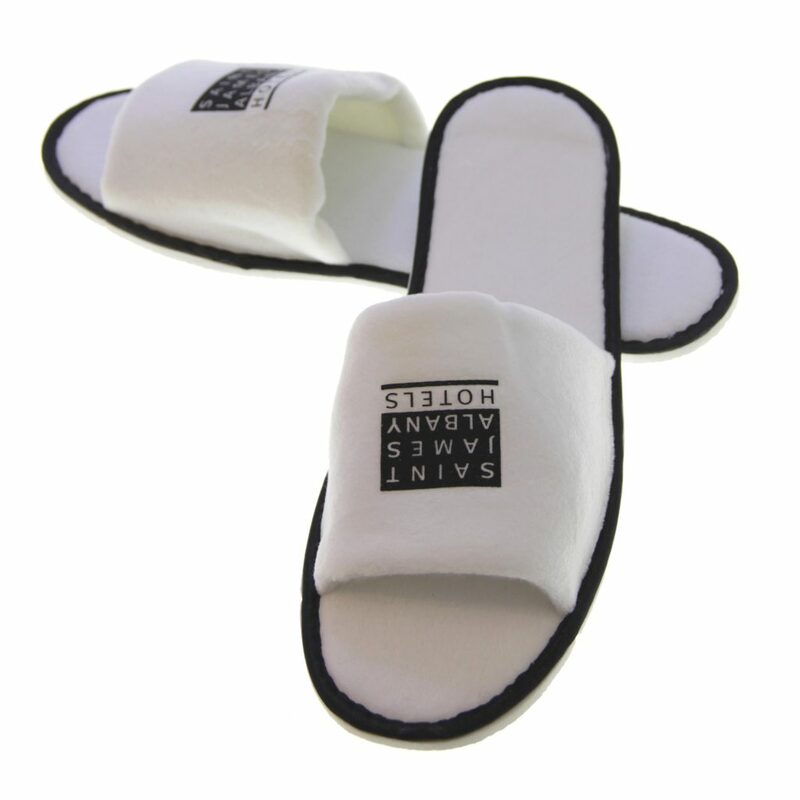 Gouda, Inc. makes custom hotel slippers in a range of styles and fabrics with or without logos. 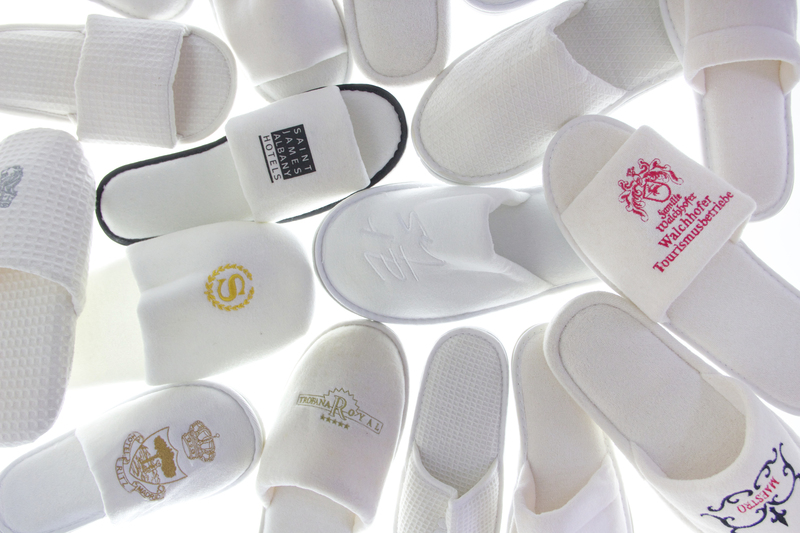 We customize our hotel slippers with embroidered or printed logos. 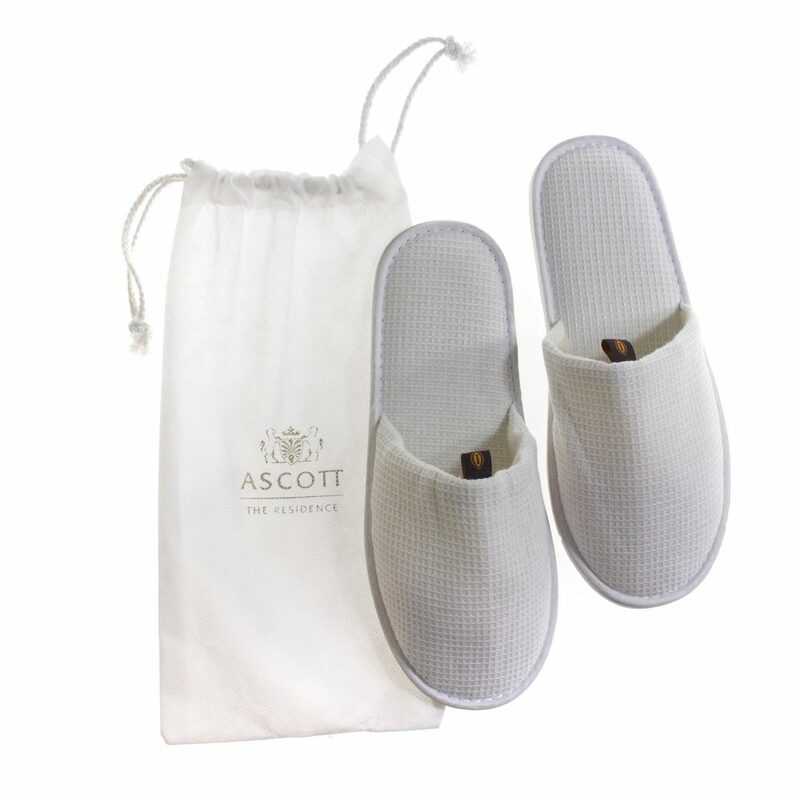 If you prefer a plain slipper, we offer a range of quality fabrics and styles as unbranded slippers. Please provide your logo as a high resolution Photoshop file or in Illustrator format for the best results. We can match most Pantone® colors in our embroidery threads. We also offer gold and silver metallic embroidery threads if you are looking for a metallic effect. 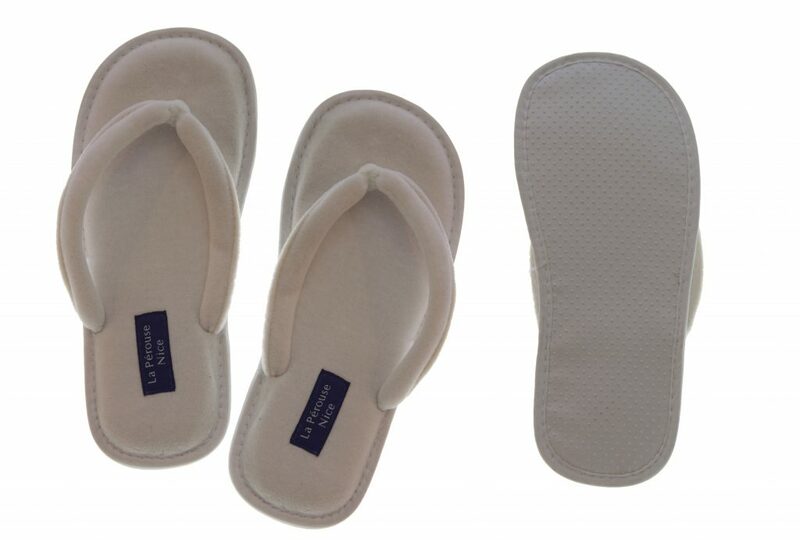 Production timing for custom slippers is approximately 30 days plus shipping.